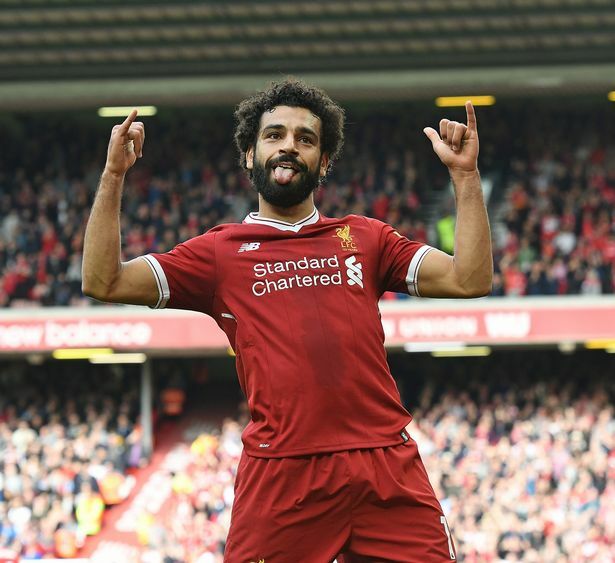 Liverpool will travel to France to take on Paris Saint-Germain at Parc des Princes at the back of an excellent 3-0 win over Watford on Saturday. The Reds managed to beat PSG at Anfield earlier this season with a 3-2 scoreline, so this match promises another goal-fest between two goliaths of European football. Alisson Becker will lineup in between the sticks for the Merseyside outfit after keeping a clean sheet against Watford last weekend. Simon Mignolet will sit on Klopp’s bench as a back-up to the Brazilian shot-stopper. The centre-back duo of Virgil Van Dijk and Dejan Lovren should continue at the heart of the Liverpool defence following another resolute display from them at Vicarage Road on Saturday. Trent Alexander-Arnold will keep his place at right-back after scoring with a brilliant free-kick last weekend which would give him a lot of confidence going into this clash at Paris. Andrew Robertson has arguably been Liverpool’s best player this season, so he would look to put on another impressive shift at left-back. Joe Gomez is still recovering from his injury and this game at Parc des Princes might come too soon for him. James Milner and Georginio Wijnaldum will start at the centre of the park and could be joined by Jordan Henderson, who is likely to start in midweek after being sent off for picking up two cautions against Watford on Saturday. 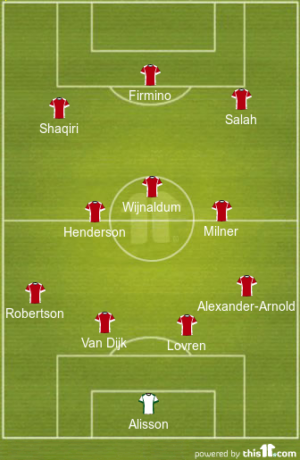 The Liverpool midfielders were terrific versus PSG when the two teams faced off at Anfield back in September. The Reds need to replicate a similar performance if they want to come away with a result from the French capital. 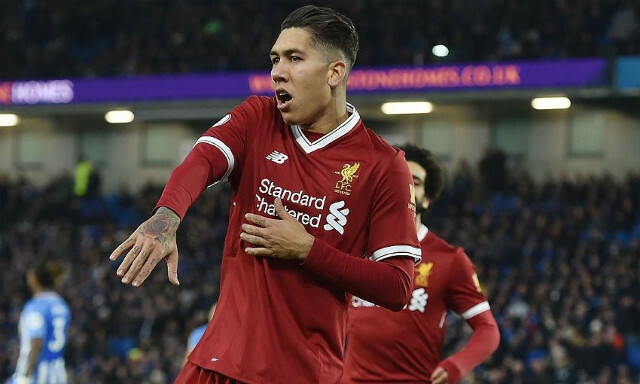 Roberto Firmino is expected to spearhead Klopp’s attack on Wednesday night after scoring with a header against the Hornets. Xherdan Shaqiri could get the nod to start ahead of Sadio Mane due to his excellent form for the Reds in recent weeks. Mohamed Salah would be deployed down the right wing as he looks to use his pace and agility to get behind the PSG backline.